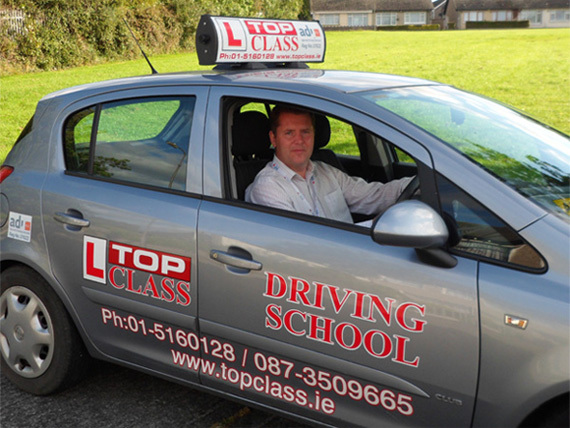 Top Class Driving School www.topclassdrivingschool.ie is a Driving School based in North County Dublin and the North side of the Dublin city. Top Class Driving School is the Driving School you have been looking for. At Top Class Driving School we are qualified to the highest standards (ADI standard) and registered with the RSA. Top Class Driving School is a Professional and Accredited Driving School. At Top Class Driving School we have the knowledge and skills necessary to teach all individuals the requirement on how to pass your Driving Test at the first attempt. 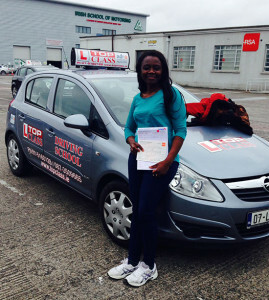 Top Class Driving School cover both test centres in North Dublin, Finglas Test Centre and the Rahney Test Centre. Top Class Driving School plan all their lessons to match each individual students driving ability from beginner through to test standard. Our driving lessons are broken down into easy to follow steps to ensure that you as a driver have the confidence and competency, to first and foremost learn to drive and pass your test and secondly to take on any given situation on the road. As of April 2011 anyone who applied for their driving licence will have to complete a course of 12 EDT lessons as per RSA regulations. RSA recommend that you complete an EDT lesson every second week with a qualified instructor and for the student to practice outside your lesson with a qualified driver between lessons. This is not always possible so arrangement can be made with your instructor to facilitate extra practice when required. We are current updating our website to make it more user friendly and more easily accessible i.e. on your PC, Laptop, Smart phone or Tablet. We offer a easy to use contact us page, or a call back service, which will allow the student to request the instructor to contact them at a convenient time. Pat Ferris who is an Approved Driving Instructor (ADI) with the Road Safety Authority (RSA) is our instructor in your local area and he will contact you after your initial enquiry. Top Class Driving School provide you with a friendly, highly qualified helpful instructor with many years of experience. We hope our new website will be easy to navigate and provide any potential student with the insight of learning to drive from novice beginner to competent driver. At Top Class Driving School we understand that the concept for learning to drive and booking your first lesson can be a very nerve-wrecking experience so our aim is to make you feel calm and relaxed which helps in the driving experience. Take a look at the new website and if you have any feedback you can e-mail me. If you look through the new website and you can’t easily find everything your looking then let us know. I like the new website Pat. It seems like you gave it a facelift ! Thanks for the brush ups last year. I’m more confident now. No problem. I’m glad things worked. And thanks for the feedback on the new site. It’s great. Thanks again. My blog was set up by a company called Multi Layer Design. Kev is the guy to talk to.